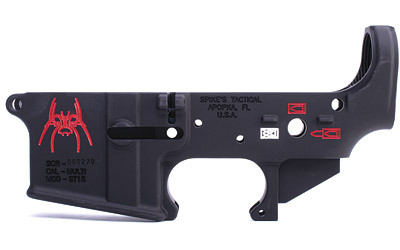 From their website. 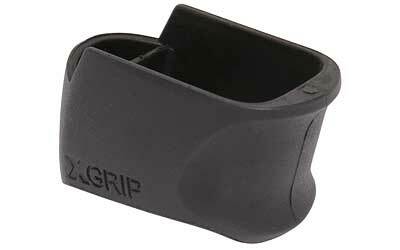 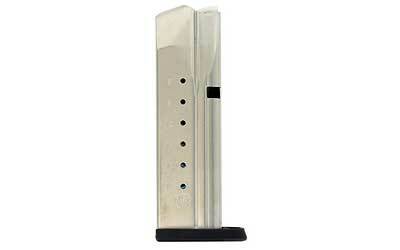 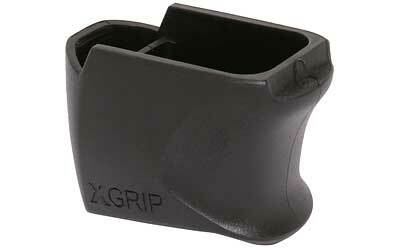 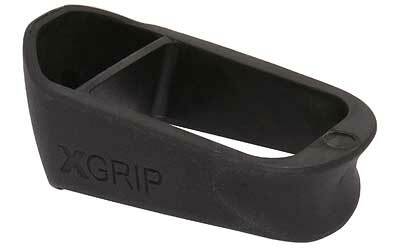 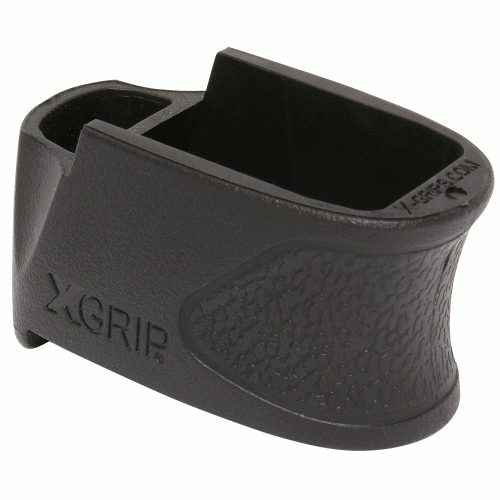 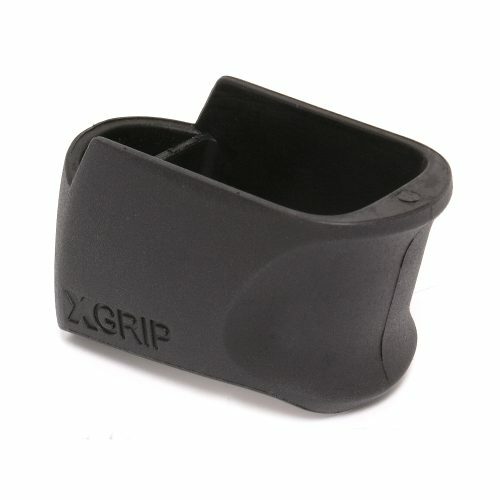 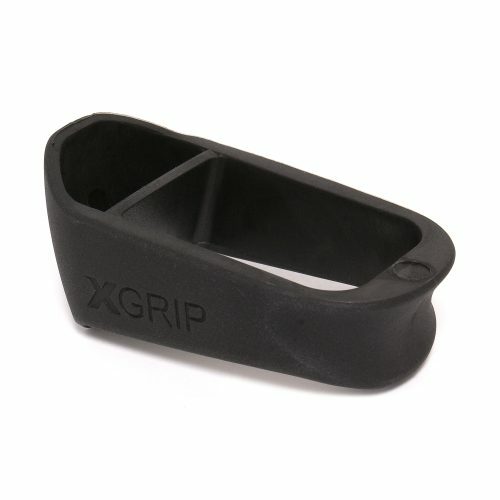 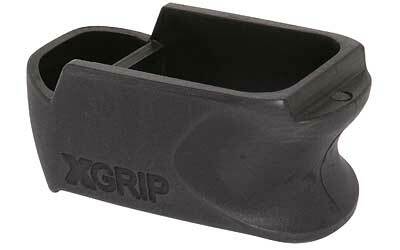 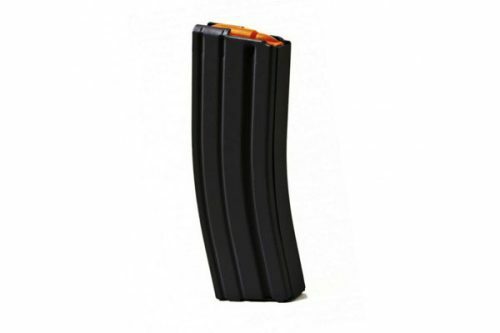 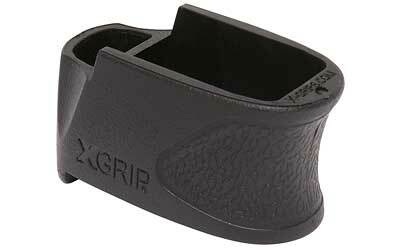 "The patented XGRIP mag adapters adapt full size and compact magazines for use in compact and subcompact pistols. 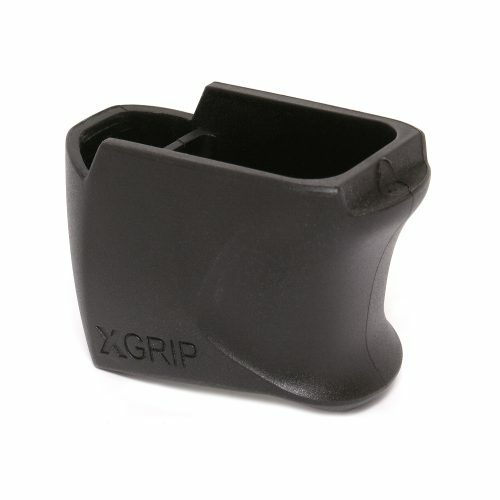 XGRIPS provide greater versatility incorporating larger magazine into a compact or subcompact pistol’s grip, increasing the capacity with additional ammunition. 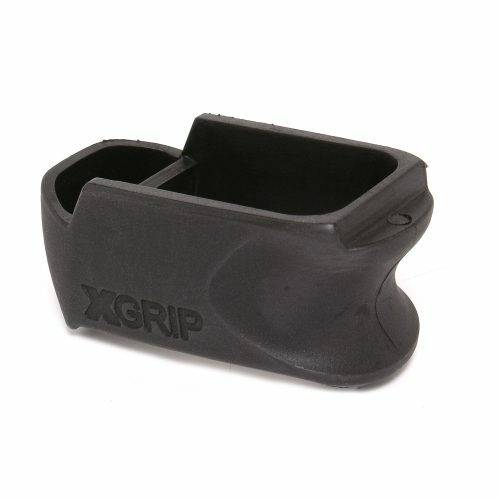 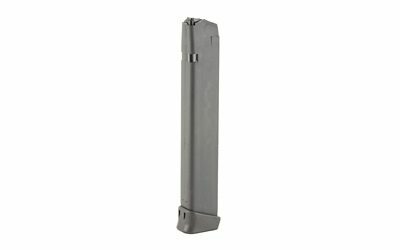 Law enforcement and military personnel can carry the compact or subcompact pistol with a standard magazine when concealment is important, then insert a higher capacity magazine with XGRIP when firepower and capacity become critical."